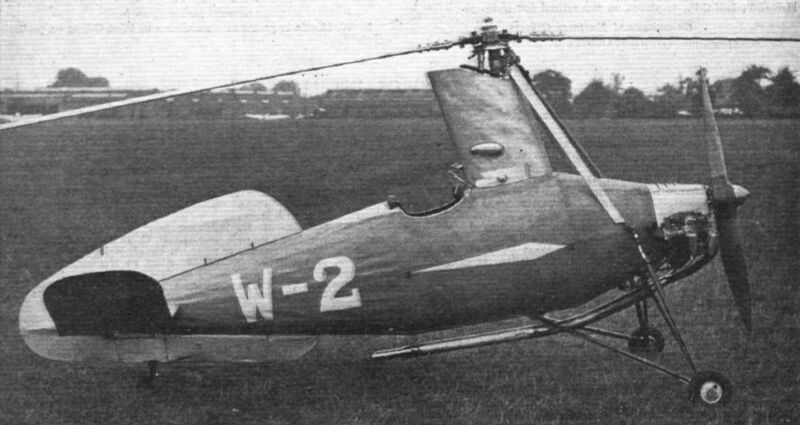 The first published photograph of the experimental Weir Autogiro taken in the air as it was flown by Mr. H. A. Marsh near Hanworth. Its diminutive size is apparent with the cockpit occupied. Tests are still being carried out. 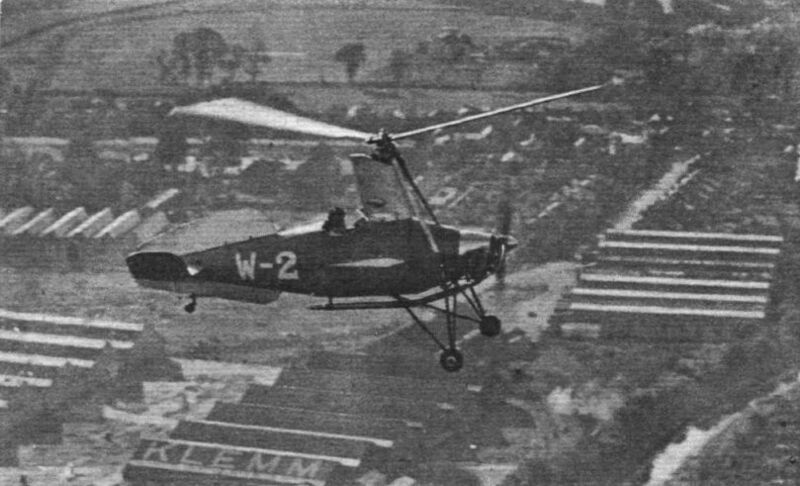 WEIRD AND WONDERFUL: A striking aerial view of the experimental Weir Autogiro, "W-2," flying over Hanworth. Note the unusual wing-section of the wings which are not there! THE WEIR AUTOGIRO: The experimental model has just resumed its flying tests after certain changes in the engine. It seems likely that the production model, which will be marketed by G. and J. Weir, Ltd., of Glasgow, will differ considerably from the experimental machine. The engine has been developed by Mr. Cyril Pullin and is a flat twin. Note the two-bladed rotor. 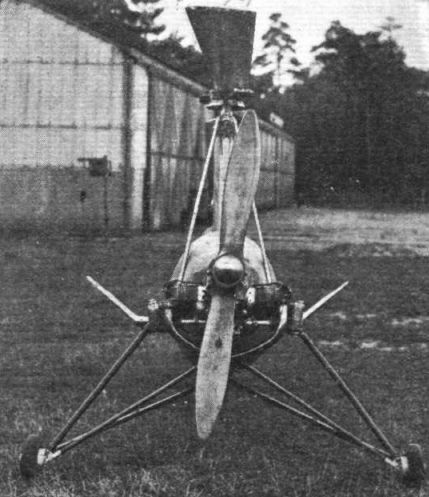 UNORTHODOXY: The small single-seater Autogiro experimental model which, when the trials have been completed, is to be put on the market by G. and J. Weir, Ltd.